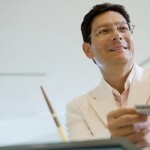 Submit your credit card question and our experienced staff will answer it for you. In fact, we may add your question to our list of questions on this page! 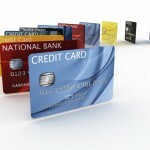 What Are The Main Issues For A Consumer To Be Cautious About While Using A Credit Card? My Card Has No Limit; Do I Still Need To Be Careful Of My Spending? When Should I Pay, On The Due Date?Before The Due Date? How Much Before? Can I Lend My Card To Others To Use? Is It Possible To Eliminate The Annual Fee? 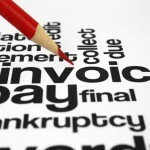 What Are The Consequences Of Late Payment? If Full Balance Is Not Paid How Is The Interest Rate Calculated? What Is Best Method To Accumulate The Most Reward Points? 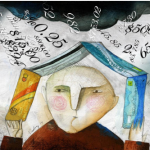 Our Financial Masterminds are committed to providing you the most up to date, tried-and-true EXPERT advice available. Faster than you can say “credit or debit”. 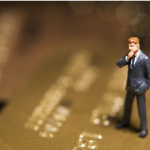 What do you REALLY want to know about credit cards? Regardless of your question; expect to be rewarded with a knowledgeable answer. Everyone knows that having at least some cash tucked away that you can’t access easily is smart. It’s just not always easy to do. A secured card often requires deposits of a couple of hundred dollars on up to thousands. Since you can’t get at the money unless you close the account, those funds are protected against temptation. You may be able to open a card with less, but by depositing more you get a larger credit limit and more savings! Though to qualify for secured credit cards you do need to have an income that can support the credit line, your credit rating needn’t be stellar. Because the money acts as a guarantee, the issuer loosens their qualification requirements to include those with bad or thin credit files. The moment you get the secured credit card and start to use it the activity for that account shows up on your consumer credit reports (presuming they report, so check first). The account is factored into your credit scores, and since recent data on reports matter more than that which is old, you can change your past with fresh, perfect payments. 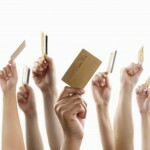 If you get the secured credit card from a major credit issuer, you will begin to form a positive association with them. Treat this account well and you may be able to obtain a low rate mortgage, vehicle, personal, and business loans with them later. 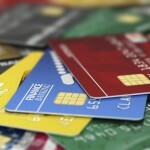 Secured Credit Cards provide Independence. One of the ways to get your foot in the charging door is to ask someone with good credit to cosign for you, or for you to jump on their existing account as an authorized user. That can be a fine arrangement, but its far better to stand on your own two financial feet. A secured credit card in just your name allows you to be the sole owner of the account. Autonomy is a beautiful thing. After you prove your credit prowess with the secured credit card, the issuer may allow you to convert it to one that’s unsecured. For example, the Citi Secured MasterCard advertises that after 18 months of responsible use, you’ll be eligible for a trade up to an unsecured credit card and you’ll get your deposit back. Clearly you’re not out of luck if you don’t already have fantastic credit. Money, as they say, talks. Erica Sandberg is a renowned personal finance editor, advice columnist, and reporter. She hosts her own video program, Making it with Erica, and is a frequent guest on national news shows, from Fox to CNN. Her book, Expecting Money: The Essential Financial Plan for New and Growing Families was the first to address the specific financial needs of new parents. Erica is the spokesperson for some of the finest businesses and products in the U.S., including Western Union, the Better Business Bureau, Bank of America, CVS Pharmacy, Michael Minna Restaurant Group, Bounty paper towels, Chase Card Services, and Assurant Solutions. Prior to her her current journalism career Erica was affiliated with Consumer Credit Counseling Service of San Francisco for ten years. Expect to learn everything you need to know about credit cards by receiving an appropriate amount of email updates from us. Copyright © 2014 Credit Cards . All rights reserved. 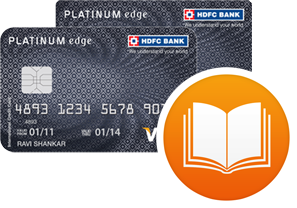 Advertiser Disclosure: The credit card offers that appear on CreditCardIdeas.com are from credit card companies from which this site receives compensation. This compensation may impact how and where products appear on this site (including, for example, the order in which they appear). This site does not include all credit card companies or all available credit card offers. Editorial Disclosure: The editorial content on CreditCardIdeas.com is not provided by any bank, credit card issuer, airlines or hotel chain, and has not been reviewed, approved or otherwise endorsed by any of these entities. Opinions expressed here are author's alone, not those of the bank, credit card issuer, airlines or hotel chain, and have not been reviewed, approved or otherwise endorsed by any of these entities. This will be available very soon. Please check again after a few days.